Hospitals and outpatient facilities serve a critical need in global communities. They provide emergency care for the sick, but we also rely on them as a safe zone for treating communicable diseases and keeping the public safe. Pressurized rooms in these special buildings are designed to contain dangerous airborne contaminants, such as tuberculosis, aspergillus, and vaporized cough. When properly pressurized, these rooms protect the most vulnerable patients, and allow healthcare staff to safely treat highly infectious conditions. When designing or renovating healthcare facilities, mechanical system designers must adhere to national codes and standards, plus local guidelines. For hospitals and outpatient facilities, the principle guideline of reference in HVAC is ASHRAE Standard 170. The rooms that are most commonly thought of as critical spaces to pressurize are operating rooms (positive pressure) and isolation rooms (negative pressure). 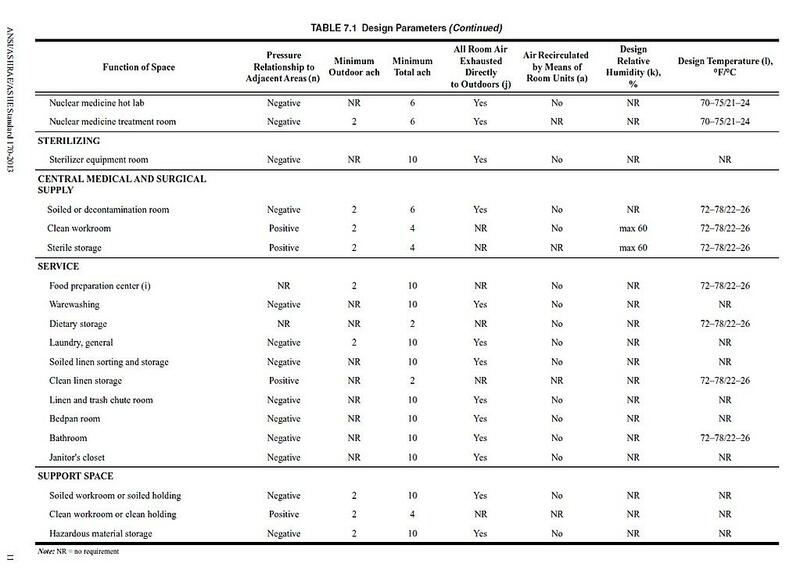 However, Table 7.1 in this ASHRAE standard outlines that there are 60 types of rooms that require pressurization to meet minimum guidelines for patient and staff safety. Even waiting rooms, physical therapy, and some clean storage areas are pressurized today. Codes and standards continually evolve as research reveals new pathways for airborne contaminants. In most healthcare room pressure applications, the minimum requirement is for directional airflow to be at ±0.01” WC. The guidelines provide this number to ensure compliance can be met by all. But in best practices, real-world pressures typically run between ±0.02” WC to ±0.03” WC to compensate for sub-optimal HVAC system operation. Isolation rooms, operating rooms, and pharmacies that do Compound Sterile Preparations (CSP) are required to have a room pressure monitor to provide a “visual means” to verify differential pressure. Other rooms require accurate sensors to reliably and repeatedly measure space pressure.